Courtesy of the artist and Galerie Crèvecoeur, Paris. Mick Peter’s work transforms imagery usually associated with illustration and design into knotty and playful installations, objects and drawings. 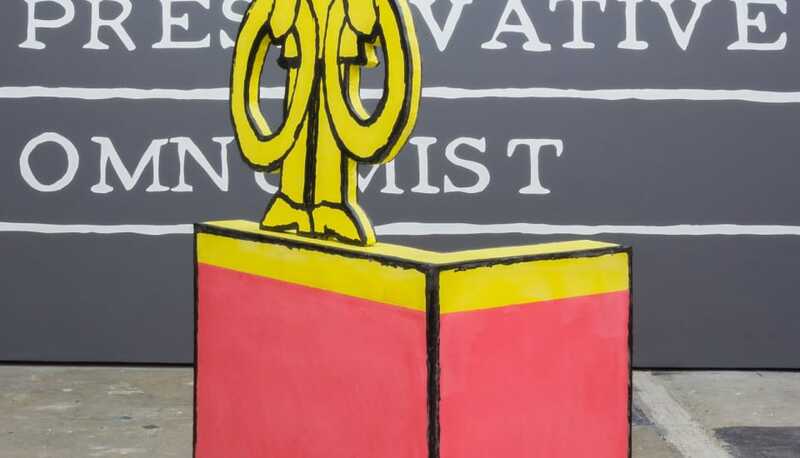 Using tricks of scale and dimensionality he brings apposite ideas and images together to generate something that is structurally self-regarding whilst also recognisably figurative and amusingly satirical. For Workplace Gateshead, Peter has made a new body of work that refers to the slipperiness of symbols and the curious world of infographics.